Us this 1 in. tubular webbing to make your own runners, rappel anchors and slings. Use this high-quality 2 in. 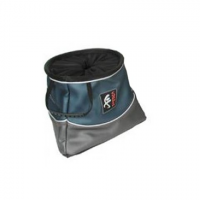 flat nylon webbing for backpack repairs or lashing down gear. The Cicada carabiner was designed from the ground up to fit perfectly in your hand from any clipping angle. 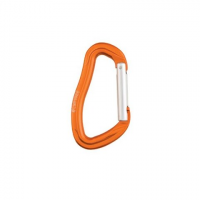 This high end sport carabiner features keylock design to ensures catch free operation on your rope and protection. Individually tested. Full size and light weight are the hallmarks of the Cypher Echo quickdraws. 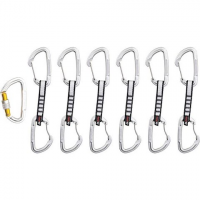 They have a key-lock top 'biner and wiregate bottom 'biner that work well for all types of climbing at any time of year. 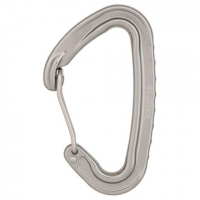 The versatile Cypher Electrolite Polished Bent Gate Carabiner offers unbeatable quality function and value. 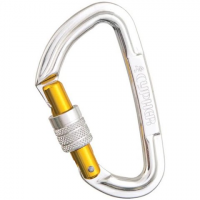 It is the carabiner of choice for the all-round climber who wants to do it all. The versatile Cypher Electrolite Polished SG Keylock Carabiner offers unbeatable quality function and value. 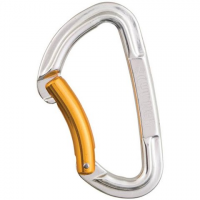 It is the carabiner of choice for the all-round climber who wants to do it all. This chalk pot is a boulderer`s dream! Oh did we forget to mention the killer looks?